"The ethical and moral justness of an action depends only on the consequences of that action"
Utilitarianism is a normative theory of ethicsAccounting EthicsAccounting ethics is an important topic because, as accountants, we are the key personnel who access the financial information of individuals and entities. Such power also involves the potential and possibilities for abuse of information, or manipulation of numbers to enhance company perceptions or enforce earnings management. that states that the ethical and moral justness of an action depends only on the consequences of that action. An action that increases everyone’s utility is morally and ethically just, whereas an action which decreases everyone’s utility is morally and ethically unjust. Utility is a term used by classical ethical theorists and philosophers to describe happiness and well-being. Quantitative utilitarianism or Benthamite utilitarianism is a branch of utilitarianism that was developed out of the work of Jeremy Bentham (1747-1832) – an English philosopher, economist, political scientist, legal scholar, and social reformer. Quantitative utilitarianism is concerned with aggregate utility maximization (i.e., maximizing the overall happiness of everyone) and uses hedonic calculus to determine the rightness and wrongness of actions. According to quantitative utilitarianism, every action results in some amount of “pleasure” and some amount of “pain” for an individual. Hedonic calculus aggregates the individual “pleasures” and “pains” on the basis of their intensity, duration, certainty, propinquity, fecundity, purity, and extent. 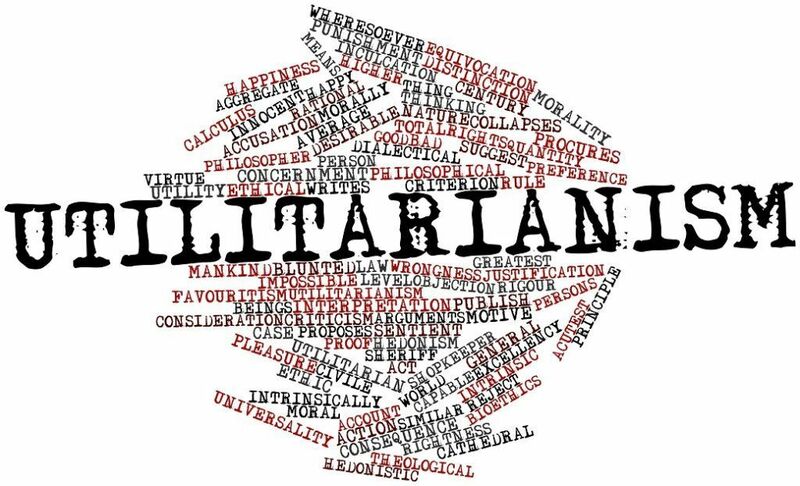 Qualitative utilitarianism is a branch of utilitarianism that arose from the work of John Stuart Mill (1806-1873) – an English philosopher, civil servant, and politician. Qualitative utilitarianism rejected hedonic calculus and categorized “pleasures” and “pains” in a more qualitative manner. Mill argued that certain “pleasures” and “pains” were of greater consequence than others even if there was no quantifiable proof of their increased importance. He argued that “higher pleasures” could only be recognized by those who have experienced them. It is primarily a criticism of quantitative utilitarianism. Human perception of the same experience varies greatly among individuals, and such a fact does not allow for a consistent quantifying process. In addition, all ethical systems stemming from consequentialism (the belief that actions are judged on the basis of their consequences) are limited by the ability to guess the future consequences of present actions. Utilitarianism would prefer action Z over actions X and Y. 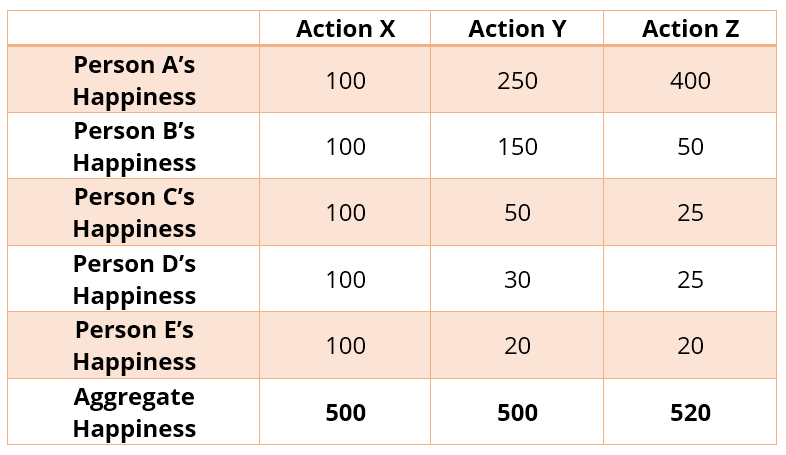 In addition, actions X and Y would be considered equal because they yield the same level of aggregate happiness. Consider two individuals, A and B, who donate $100 and $1,000, respectively, to a charity. Suppose individual A donated the money because he wanted to help the charity and individual B made the donation so that he could improve his own standing in society. Utilitarianism would consider individual’s B’s donation to be superior to individual A’s donation.